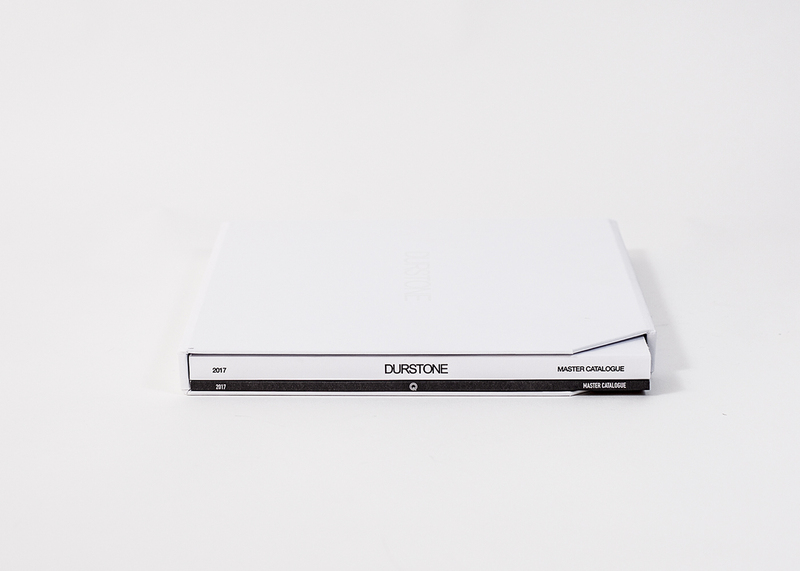 Durstone has reinvented itself during this past year. The ceramic tile company relied once more on the experience of our team to consolidate and establish their visual identity. Their latest catalogue is a reflection of this brand renewal. 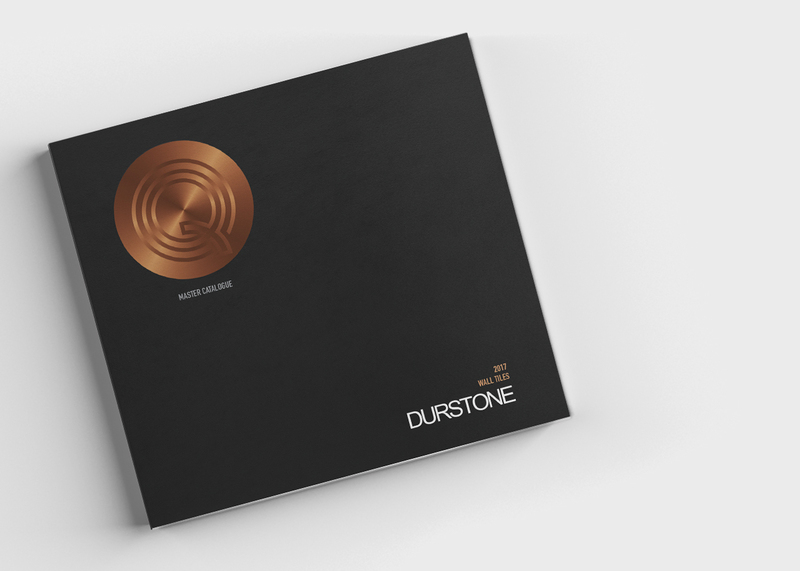 This time, the yearly master catalogue separated their products in two books: one for each one of the sibling brands Durstone and Q. Presented altogether in a box which is the perfect representation of the minimalism that characterizes the image of the company. 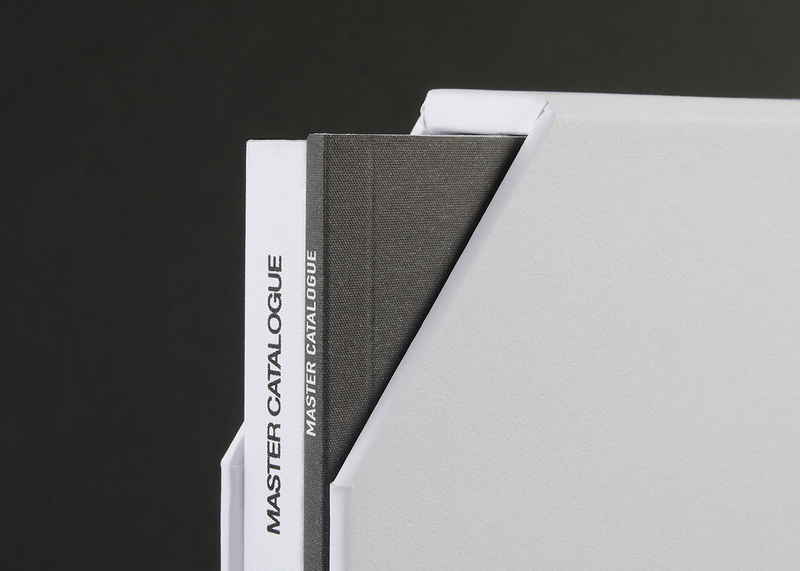 In a pure white box, we only identify the logo on a subtle varnished ink. 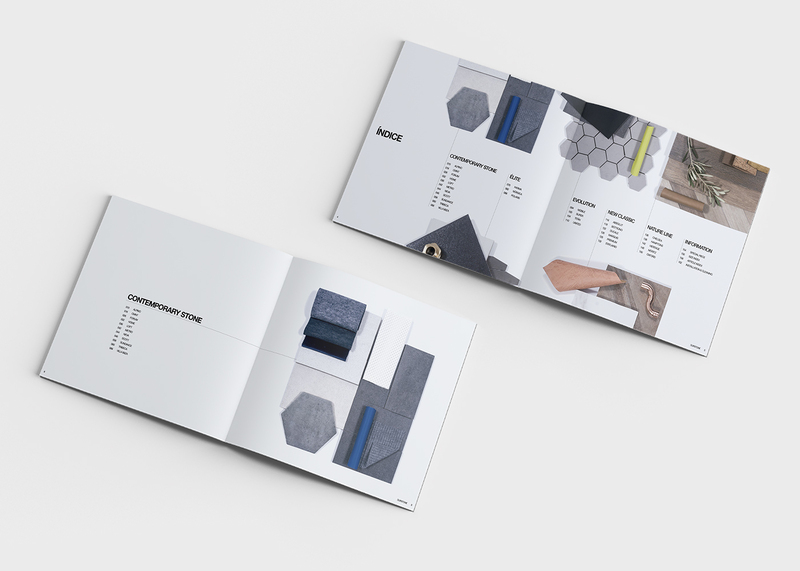 However, when we see the catalogue from the side, the colour contrast in between the two books makes a statement on the aesthetic difference of both brands. 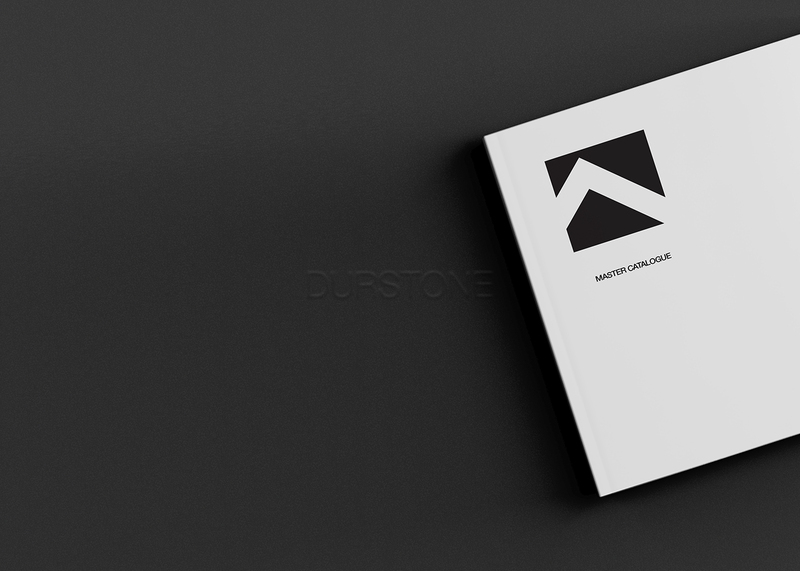 Durstone’s very own catalogue using the wide square format to distribute their collections in a very clear and simple layout. 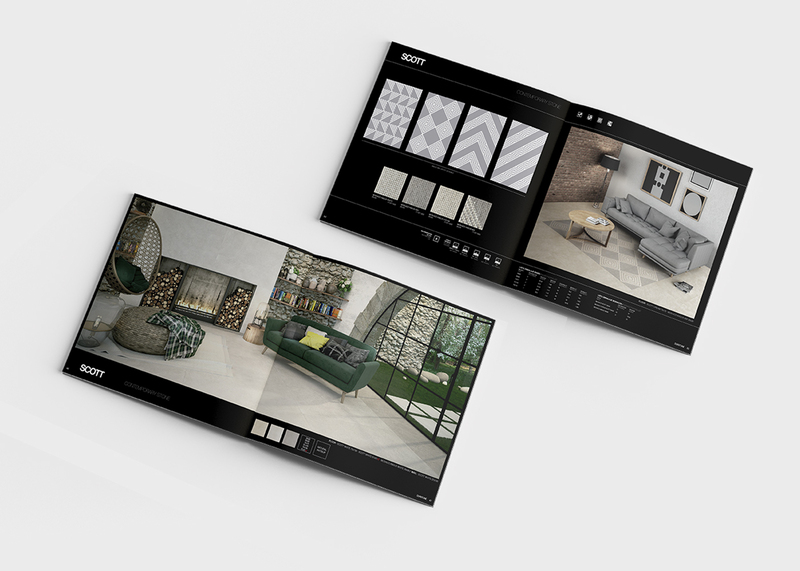 Their product categories are presented as interior design mood boards that introduce the character and materials of each one of the categories. 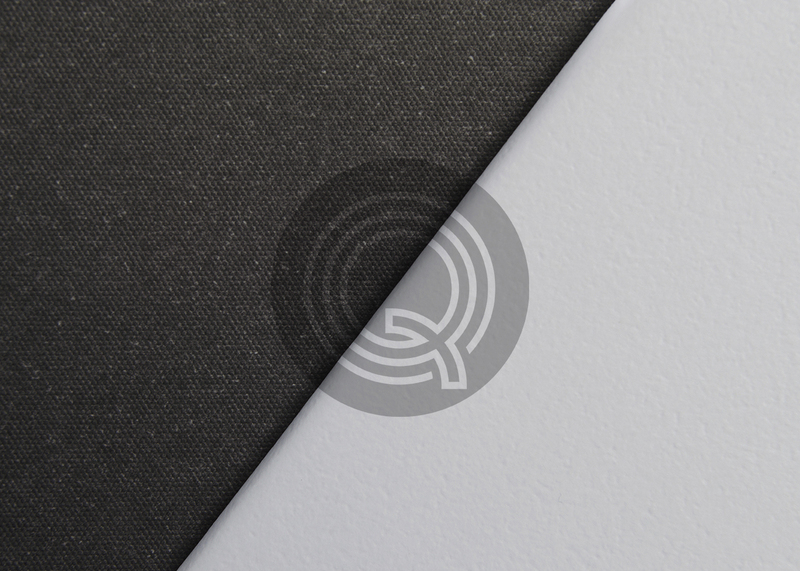 Q’s cover, however, exemplifies perfectly their dissimilarity with Durstone. 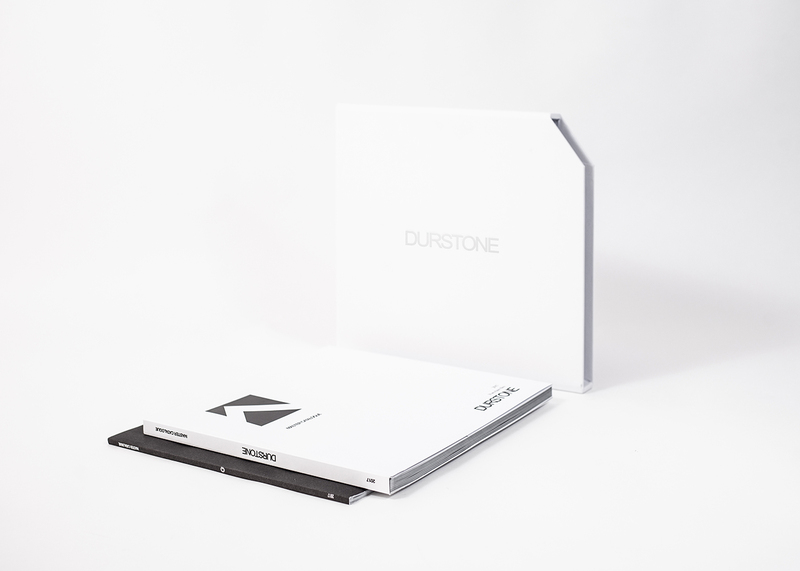 By using dark shades of grey, the appearance from the exterior creates a high contrast with the pure white of Durstone. Also, Q integrates colours and textures, being copper metallic surfaces their trademark.